When asked about teaching comprehension, educators often mention strategies. They use specially selected texts to teach using prior knowledge, asking questions, and monitoring. Those are certainly valid ways to teach understanding of text, but let's go further. 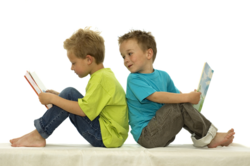 A recent conversation with Michael Graves, University of Minnesota professor and long-time researcher, reminded me that a broader, more balanced approach is a superior way to teach reading comprehension. In conjunction with the University of Utah's Lauren Liang, Dr. Graves suggests there are many facets to reading comprehension instruction. Dr. Graves warns us: "Used by itself, direct explanation of comprehension strategies may be too artificial and too separated from ongoing activities of the classroom. Students may learn to use the strategy during special periods set aside for strategy instruction, but then fail to use it when they read at other times of the school day or at home." Graves further states, "with comprehension portrayed as one of five parts of the National Reading Panel's (NRP) suggested curriculum, there is a danger that some will see it asdeserving only one fifth of your the time and effort. This, in fact, is what we repeatedly see in conference presentations, professional development sessions, and discussions with teachers and administrators." That also might inadvertently be the reason behind our limited approach. Instead, Graves recommends the NRP list be expanded to include at least five additional segments, especially when teaching fourth grade and beyond. Do you have a question about teaching reading? Click here to send an e-mail to Cathy Puett Miller. Covering each suggested additional segment fully here is impossible. However, Dr. Graves has given me permission to share those segments with you. Use this list to start thinking beyond the "strategies" box. Fostering Learning from Text -- techniques teachers control as they guide students in reading and comprehending a single text (scaffolding readers). Nurturing Response to Literature -- targeting the student's emotional and aesthetic response to an author's words. Teaching Comprehension Strategies -- instructing students on how to use specific strategies to better understand what they read. Promoting Higher-Order Thinking Skills -- Reflecting Bloom's Taxomony, this instruction requires planning, deliberate and frequent focuses to take children beyond regurgitating facts to analyzing, synthesizing and evaluating. Teaching for Understanding -- Our goal always should to be not to simply touch the required curriculum, but to help students understand deeply. Now, let's target one of the five -- Nurturing a Response to Literature -- in more detail. Patrick Howard, a Canadian high-school teacher reminds us that "true literacy is an affair of the heart. It means reading and writing what touches our students most deeply." Take that definition and carve out time for students to connect with and experience text. Use such research-proven approaches as readers' theater, journal writing, literature circles, and classroom discussions to engage them interactively and meaningfully in text (see resources in "Further Reading" sidebar). And remember, when nurturing plants in a garden, you introduce sunlight and nourishment frequently and repeatedly. Do the same when nurturing student responses to literature; it must happen regularly and often with all types of literature or students never will internalize it. Set a goal to feed student responses in one way or another, and at every opportunity. Use transition/wait times (all school days have those) to solicit conversations about what the class reads. One fourth-grade teacher in Georgia regularly uses her waiting-in-lunch-line time to pair students in quick "how do you relate to this character?" or "what did today's story remind you of?" discussions. Be sure you choose interesting and appropriately leveled text, so even less engaged students participate. Dr. Graves also suggests adding a much-neglected category -- "rich and varied language experiences." Independent reading, exposure to several reading levels, read alouds and independent writing all fall into that category. April 12th has been designated "National DEAR Day" by the National Education Association, the National PTA and others. Check out Reading Rocket's D.E.A.R. Resources and the National PTA's current newsletter to promote this type of practice and reinforcement with your students. Also, don't forget parent involvement. By having students and parents read aloud at home, or read the same text independently but simultaneously, you tap into the wellspring of practice time so essential to proficiency and help students connect reading with life. You also give them a chance to practice their comprehension skills outside the classroom. Isn't that why we teach them to read? * Reading Response Journals: Writing After Reading is Revealing!